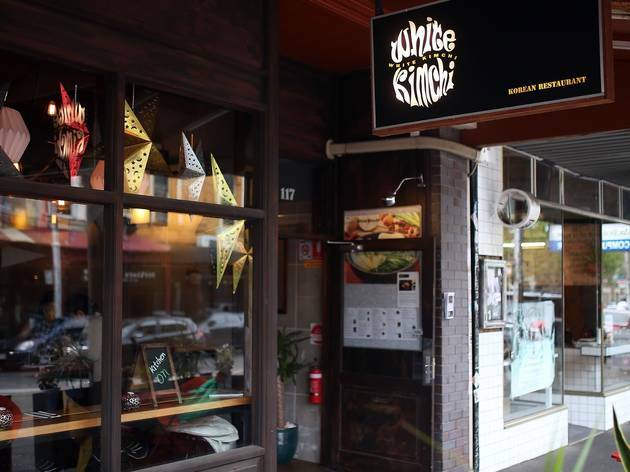 With so many culinary stunners on Smith Street, it's easy to forget other restaurants who have been going at it without the continued hype that surrounds other establishments like Messina and Huxtaburger. 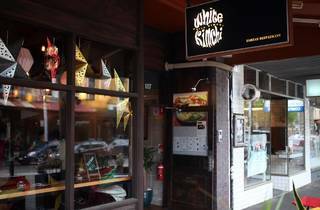 White Kimchi is one such restaurant. 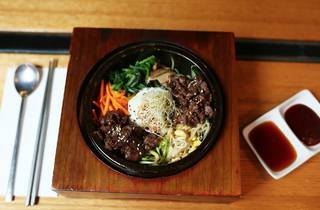 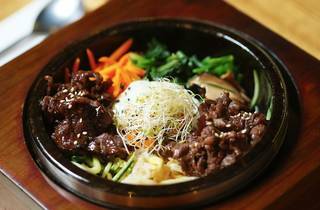 The Korean eatery doesn't have a website or a Facebook page, but they're dishing out some of the tastiest Korean food this side of Smith Street. 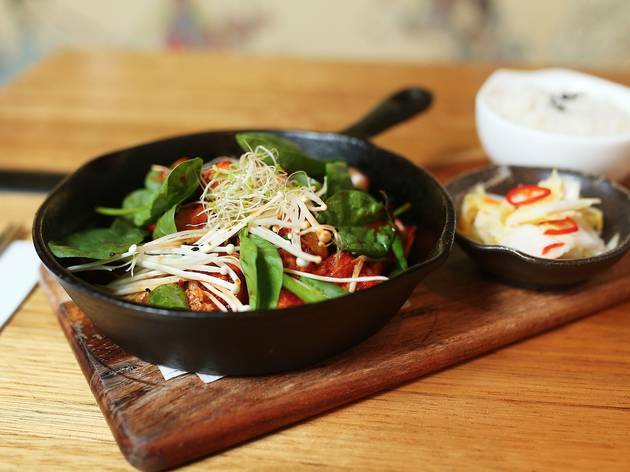 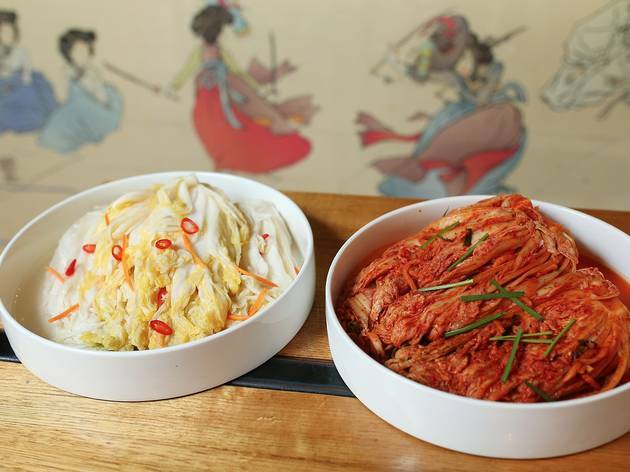 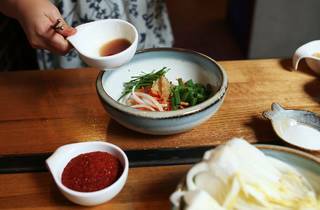 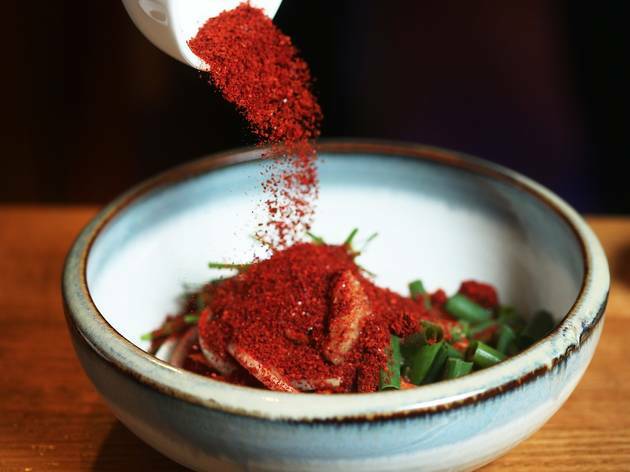 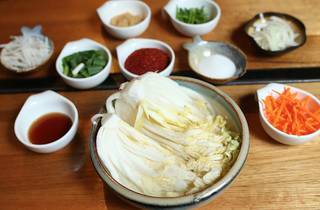 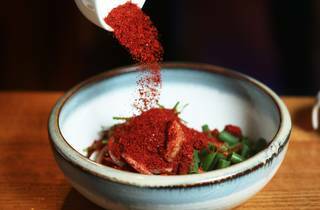 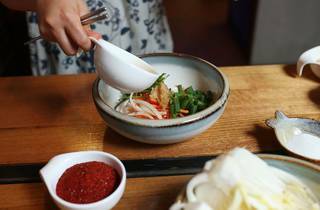 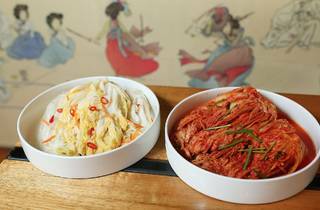 Run by James Lee and his family (his wife helps him cook, while his daughter works front of house), White Kimchi does simple and classic Korean fare. 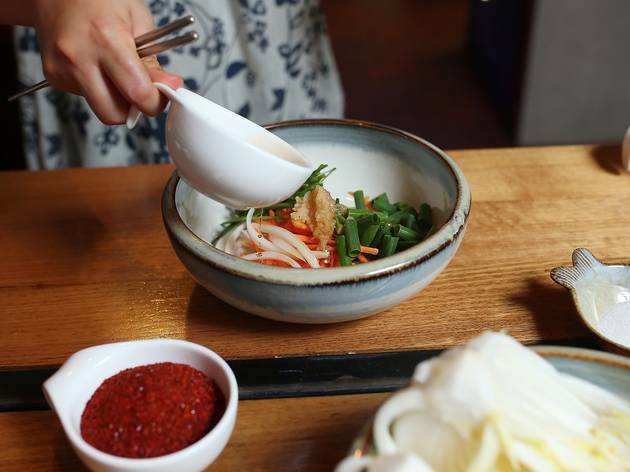 You'll want to get their bibimbaps here, which can be served in a regular or dolsot (hot stone) bowl, which gives the rice that lovely crusty bottom layer and cooks the raw egg into the contents of your rice bowl. 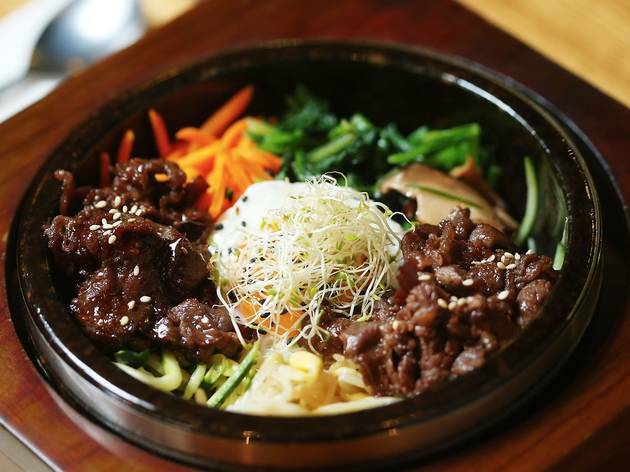 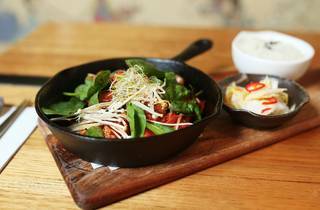 Other Korean staples like japchae stir fry noodles, cheolpan (sizzling dishes of veg and a protein), jjigae stew hot pots are available, with all accompaniments (banchan, the Korean answer to side dishes) made in-house. 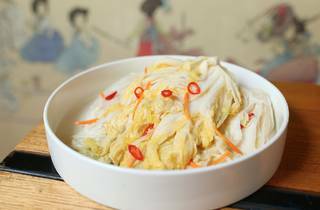 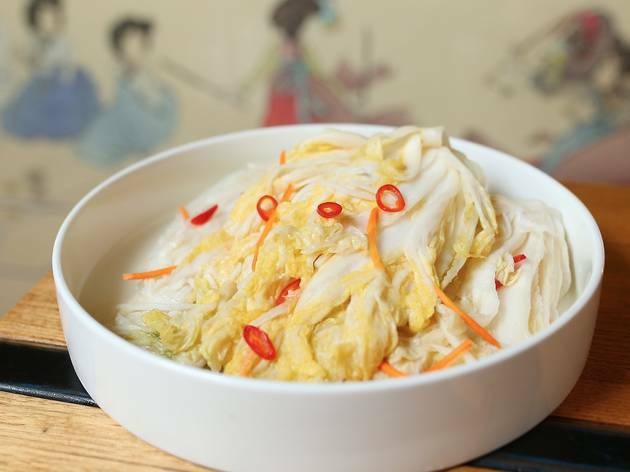 The restaurant's eponymous white kimchi (made in house almost daily) is a lot milder than the spicy versions more commonly seen, so it's a good one to start on if you're not big on chilli. 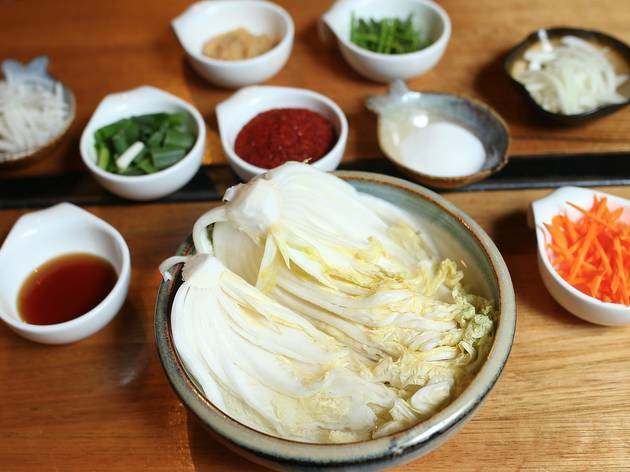 Don't worry, Lee assures us that the mild version of the pickled cabbage is just as authentic and traditional as the original. 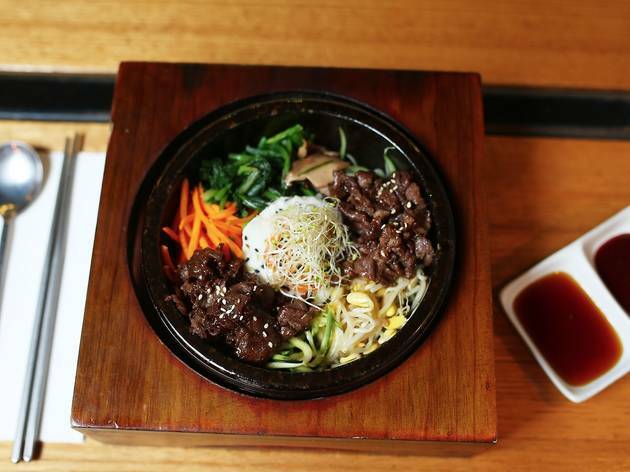 Another thing they do well here is drinking food. 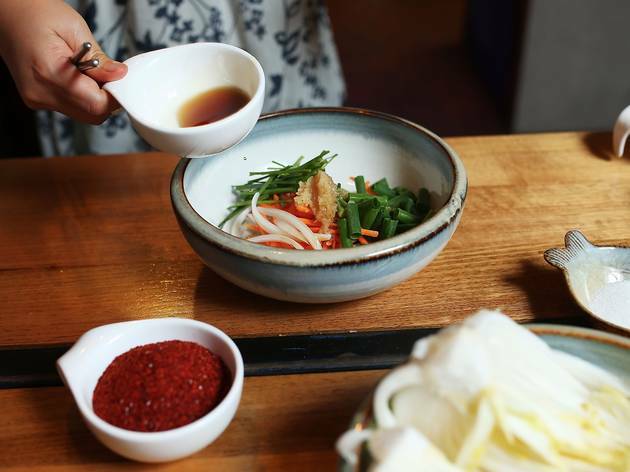 Whether you're about to head out on a bar crawl of Smith Street or drinking in, the Korean fried chicken and chips or tempura-like fried teeiw gim snacks will go down a treat with a bevvy.